Traditionally the Tuesday after Thanksgiving has been a day of charity, with millions of individuals taking time to donate to nonprofits and philanthropic causes. This year, the grassroots campaign News Match is launching #GivingNewsDay to promote an investment in quality non-profit journalism. News Match 2017 was established as a campaign through Democracy Fund, the John S. and James L. Knight Foundation, and the MacArthur Foundation. It’s mission is to support nonprofit news organizations that play a vital role in holding those in power accountable through non-profit news. Through December 31, individual donations up to $1,000 will be matched by News Match partners. Nearly 20 individuals and foundations have also set up campaigns to match donations for local News Match participants. The Gates Family Foundation, the Wyncote Foundation, and the News Integrity Initiative have each pledged to match donations to specific newsrooms. And in ten states, individual donors and local foundations have added at least another $400,000 in matching funds to the campaign. 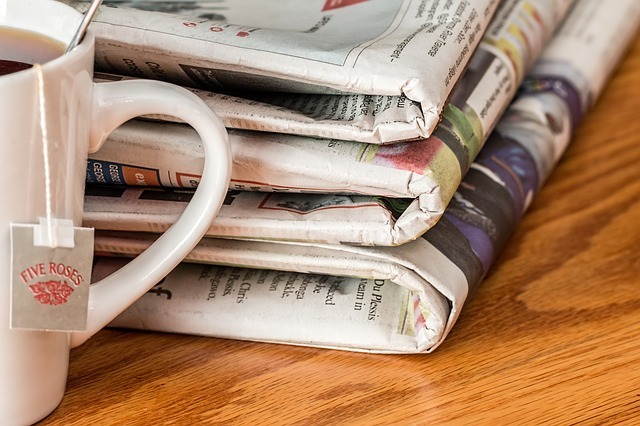 “Trusted nonprofit news organizations… are essential to building stronger communities, holding our decision makers accountable, and providing people with the information they need to contribute to civic change. Ensuring they have a bright future is in all of our interests,” said Jennifer Preston, Knight Foundation vice president for journalism. All news organizations participating in News Match are members of the Institute for Nonprofit News. To be a member, an organization must be a 501(c)(3) or have a 501(c)3 fiscal sponsor, must be transparent about funding sources, and produce investigative and/or public-service reporting. Donations are tax-deductible as allowed by law. If you would like to donate to #GivingNewsDay, please visit newsmatch.org before December 31, 2017 to contribute.